Marketing Series Part 4 – Reputation Management - A Digital Marketing Agency | IIAS - International Internet Advertising Services Inc. While your brand is something that you create, your reputation is what others really think of you, and “others” are fickle creatures ready to pounce in cat-like fashion. Your company’s good reputation is essential to success and can be ripped from you in the most unexpected of ways. Remember the guy who kicked the dog in the elevator and lost his job as CEO? Or the Olympic swimmer who exaggerated a drunken encounter with a police officer in Rio? He lost four sponsorship deals. The power of the internet is a double edged sword that can make you or break you. As the examples of poor research, poor behaviour, poor customer service, etc. explode, pundits are cautioning that reputation management needs to become reputation development and reputation marketing. 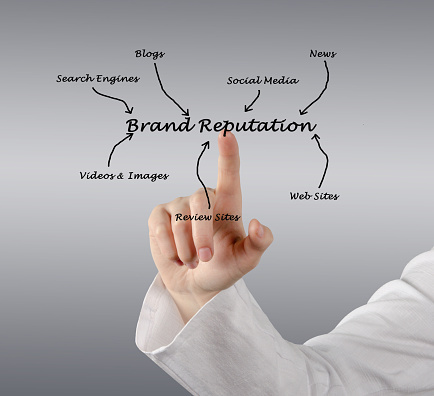 Consider your brand’s reputation in a review of all policies and procedures, as well as executive and employee contracts. Behavior on and off the job are important. Ensure that ALL employees understand your customer service policies and procedures. Facilitate feedback and reviews by asking for them and making it easy, not just on your own platforms, but on all relevant platforms. Third-party reviews are the most influential, so be sure to monitor these as well. Use positive comments in your marketing. Make sure that customers can contact you directly with a problem, which they’ll likely do before going public. Deal with any negative comments quickly, and exceed the customer’s expectations. Follow up to ensure similar issues are resolved for the future. Do your research before signing off on any marketing ads or materials. Coca-Cola launched an ad campaign with a long outdated map of Russia. Not cool. If you want your brand to be associated with quality, test, test, test. Samsung fire phones – also not cool. Be VERY sensitive to any references to gender, race, religion, etc. Don’t try to be clever IF ANYONE, ANYWHERE, ANYTIME, might think it’s offensive. Match.com used the word “imperfections” with a photo of a freckled face. The US State Department warned spring break travelers going overseas that if they weren’t considered a “10” at home, they weren’t a “10” anywhere else; i.e. if someone is offering to buy you a drink, they’re just disarming you for a robbery. Don’t use tragedies as a marketing ploy. A twin towers sale on the anniversary of 9/11 didn’t go over so well. Don’t overreact to criticism and don’t dismiss suggestions. Investigate and follow up. Your goal is to improve your reputation, so apologize, fix it, and make sure it doesn’t happen again. Consider suggestions as free advice, because that’s what it is! So analyze them, and see what’s feasible. Don’t minimize one unhappy customer’s experience. My daughter had an issue with Starbucks over the past couple of weeks. Two managers didn’t call her back as promised. The guy who answered the 800 customer service line was rude and had no intention of helping. What these three didn’t know was that she is a social media maven and influential with upwards of 300,000 other people. Fortunately for Starbucks, she’s also addicted to their Caramel Macchiato and made one final attempt by email to get what she needed to give up her boycott. The recipient was a model of good reputation management and it ended up a win-win. If you’d like some ideas on how to review your current situation, download our Reputation Review worksheet here.